Koerner Camera Hosted PacNW Lens Summit – A Success! May - 10 | By: Oregon Film | no comments. Koerner Camera Systems in Portland, Oregon hosted the 2nd annual Pacific Northwest Lens Summit on the first Saturday in May. 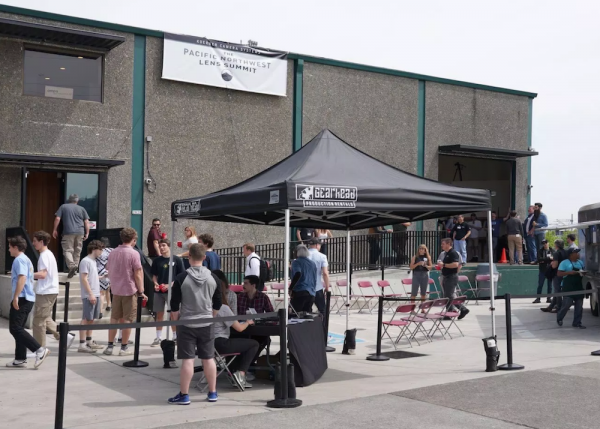 About 250 people came to see lenses, filters, FIZ controllers and focusing aids, anamorphics and adapters, gimbals, cameras, and camera robots presented by thirty different exhibitors. Go check out the article for more info and photos.